Emma McKean proudly displays her 4 lb. catfish! 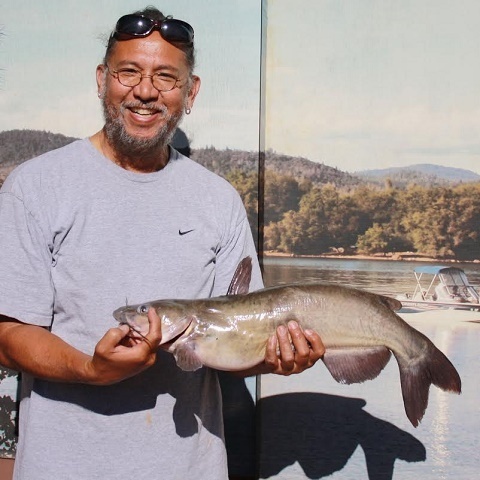 Alonzo Navarra from Vallejo hooked the biggest cat this week, his was a 7 lb. 12 oz. monster and he was fishing down at the Water's Edge group camp area. He was using a marshmallow & PowerBait combo. 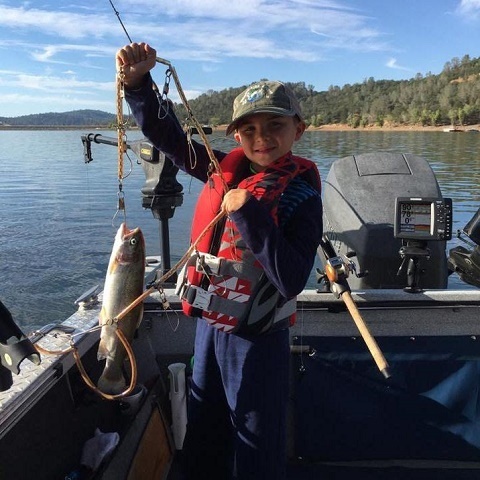 Chris Luke from Antelope used PowerBait to entice his 7 lb. 8 oz. catfish on the east side of the lake. 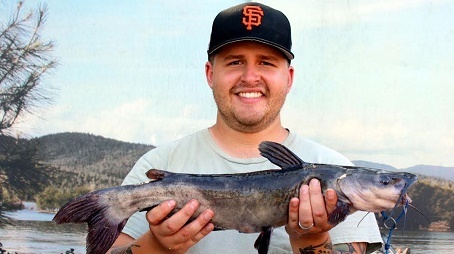 Rodrick Pumphrey from San Jose fished the east side as well, using worms and landed a total of four cats! 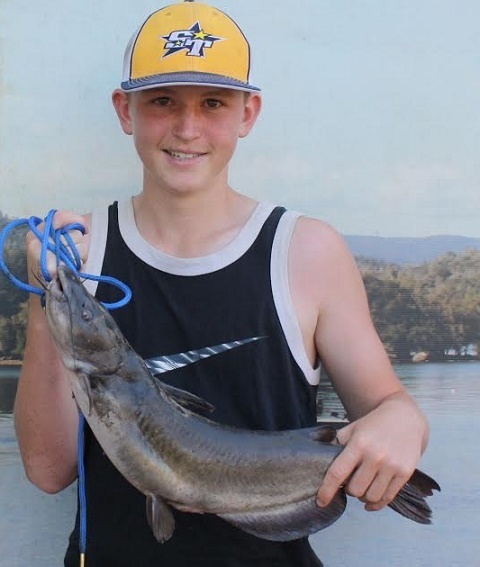 Spencer Kugler from San Jose who grew up fishing here at Collins Lake, hooked a 6 lb. catfish around the islands in the middle of the lake using live crawdads for bait. 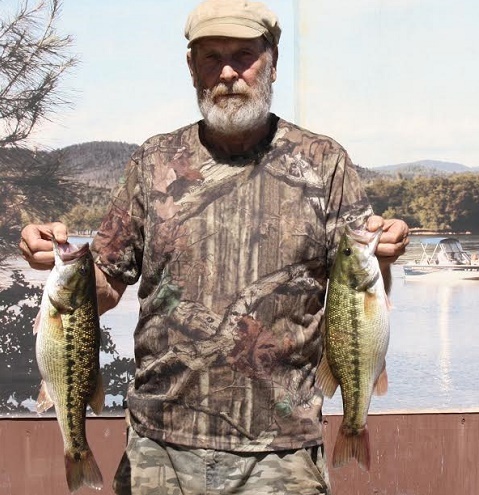 He also caught two bass off the dock using crawdads. Kasey Searles, visiting us all the way from Tulsa, OK. fished from shore by the dam using worms and caught a 4 lb. 4 oz. cat!! 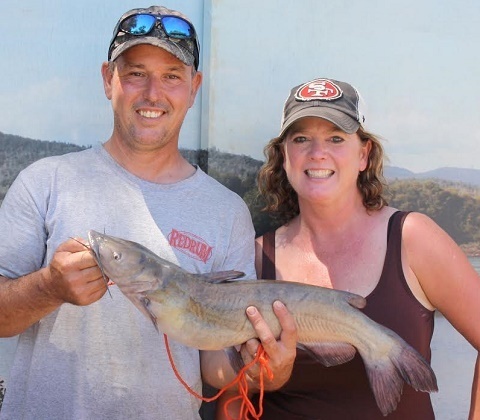 Kathleen Eaton from Citrus Heights caught her very 1st fish, a Bluegill using PowerBait! Shelly Kohl shared a great photo of her son who is 3 for 3. Grandpa has created the next generation of fishermen and they made pets of the leftover worms!!! Thomas Hagerty, also a generational camper here at Collins Lake, had no problem landing his 5 lb. 8 oz. Rainbow which he caught by the dam with Marinda, using green PowerBait. 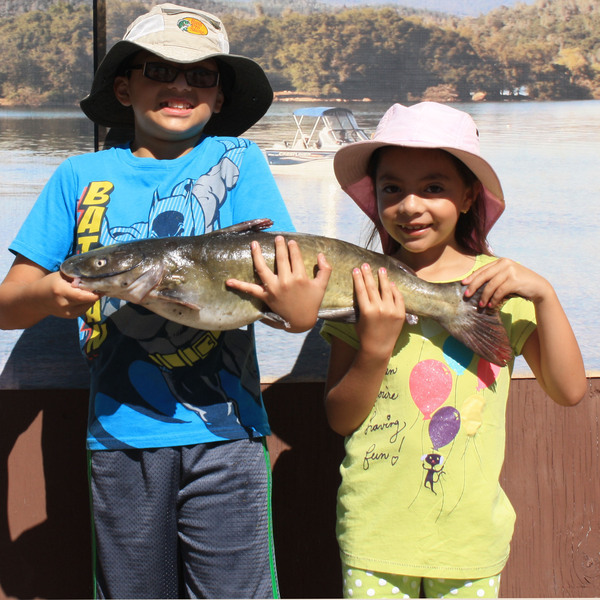 Emma McKean from Citrus Heights along with Ava & Andrue showed off their beautiful 4 lb. catfish & a 4 lb. 4 oz. cat which they caught from the rental boat dock on hot dogs!! 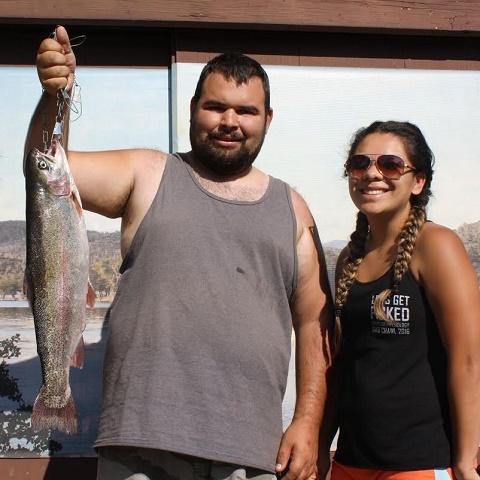 Alayna Trejo & Nathan Pullian caught a beautiful trout while trolling near the dam using a Wobbler. 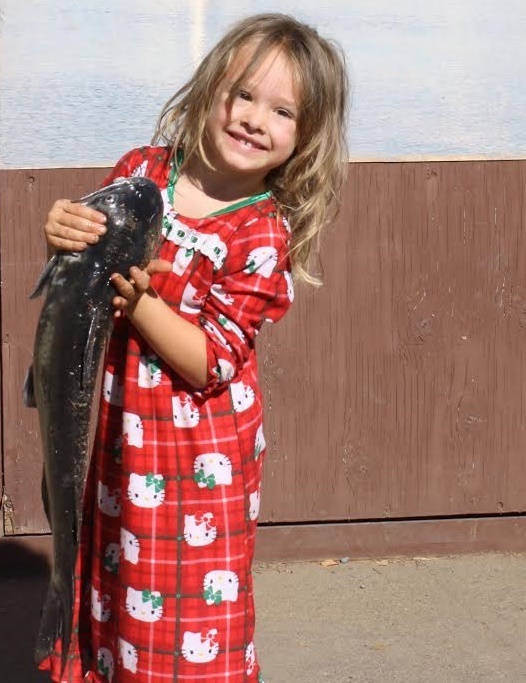 Melody Dudley from Citrus Heights proudly showed off her stringer of 13 Bluegill that she caught with her Papa Jay off the dock using little worms! !